« Allen Rosenberg Transformed Olympic Rowing: What can his methods do for your swimming? I’m delighted and honored to present this guest post from noted writer and blogger—and recent convert to ‘splash-free’ swimming—Mariah Burton Nelson. What would it mean to lead a splash-free life? In swimming, leading a splash-free life means gliding smoothly forward, without wastefully dissipating one’s own energy in messy, noisy, random directions. What first attracted me to Total Immersion? The stunningly beautiful, preternaturally graceful, splash-free stroke demonstrated by Shinji Takeuchi in his popular “Most graceful freestyle” video. Then I heard Terry Laughlin explain why splashing is inefficient: It takes energy to send water up into the air, and this represents energy diverted from moving you forward. This makes so much sense! 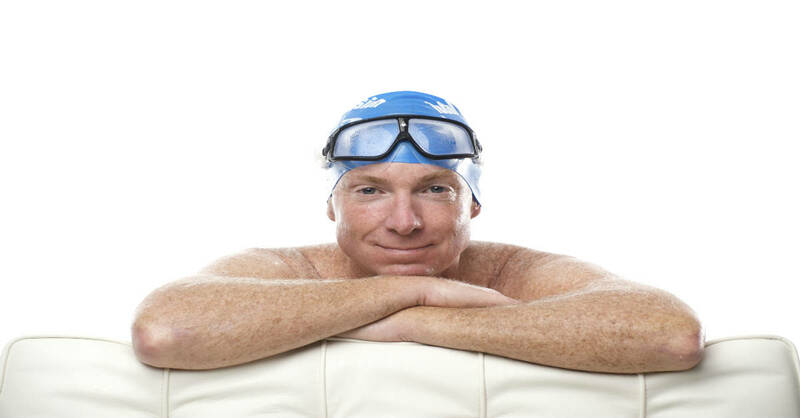 As a lifelong swimmer, I’m shocked that I have logged 50 years’ worth of miles, including many competitions at many ages, without ever wondering how I might “shape my vessel” to slice cleanly through the water without creating a noisy mess. Dolphins don’t splash! Why should we? I’ve been an enthusiastic Total Immersion student for about six months now, practicing mindfully and relishing my new grace and power. I’ve become a TI evangelist too. I can’t help it. Every time I meet a swimmer or potential swimmer, I feel compelled to tell them about streamlining, slipperiness, reducing drag, and the amazing power of the hip-drive. My most recent convert is 89-year-old Mom, featured in the accompanying video, talking passionately about Total Immersion, while demonstrating the method — and demonstrating how much energy is required for her, at this age, simply to get dressed and get into the pool. Why waste that precious energy splashing? Now I’m wondering if it might also behoove me (us?) to splash a bit less on land, too. After practicing Total Immersion in the morning, I stride onto the surprisingly firm land like a sea creature that has recently become amphibious. Still high on the satisfying sense of grace I just experienced in the water, I wonder if I (we?) might practice the same grace with colleagues, family, and the above-sea-level world as a whole. For example: Must I interrupt others when I’m really, really eager to share my views? Isn’t that simply splashing? Must that colleague across the hall sing out loud all day? Splashing! What about Metro riders who elbow aside elderly passengers on their way to the seats? Looks pretty splashy to me. We can only control our own “splashiness,” of course – and, being fallible humans, we can’t entirely control that either. But I find that my own attempts to “splash less” make me more, rather than less, compassionate for others who are noisily and messily moving through the world. After all, isn’t that what I’ve been doing, lap after lap, for most of my life? A former Stanford and professional basketball player, Mariah Burton Nelson is the author of six books about female athletes, including We Are All Athletes and The Stronger Women Get, The More Men Love Football. She’s currently in charge of innovation for ASAE: The Center for Association Leadership. Follow Mariah’s blog at beyondworkouts.com. Well written thought on Splashlessness !Than You for sharing !